Operation Michael, the first attack of the German Spring Offensive, had been a devastating blow for the Allies, especially British Fifth Army. They had been forced to retreat up to 48 miles and lost over 250,000 men killed wounded or missing. However for the Germans Michael hadn’t really accomplished anything. German losses had been similar to the Allies, they hadn’t captured the vital transport hub of Amiens and the Allied Armies hadn’t been forced apart. (Find out more about Michael here). 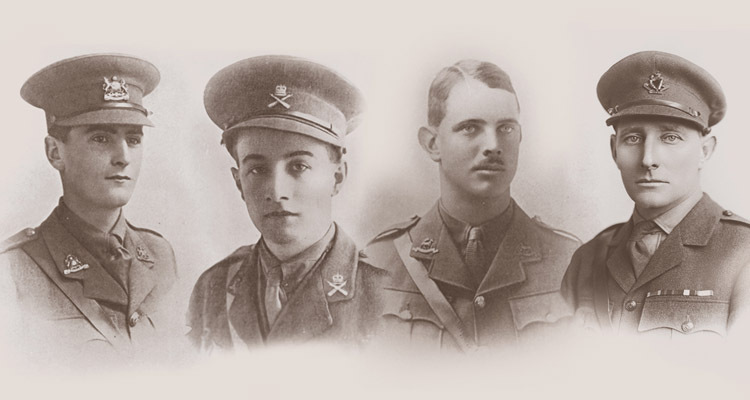 It was British soldiers like these who defeated the Spring Offensives. German commander Erich Ludendorff believed that Michael had come close to succeeding, and that he needed to keep the initiative by launching further attacks. His focus was still on the British Expeditionary Force, which he had identified as the most capable and therefore dangerous of the Allied armies. He wanted to force them to evacuate the continent by threatening the Channel Ports and planned to accomplish this by launching Operation Georg, an attack around Ypres in the north. As Michael came to a conclusion in early April the Germans reassessed the situation. Their losses meant Georg was now beyond them. 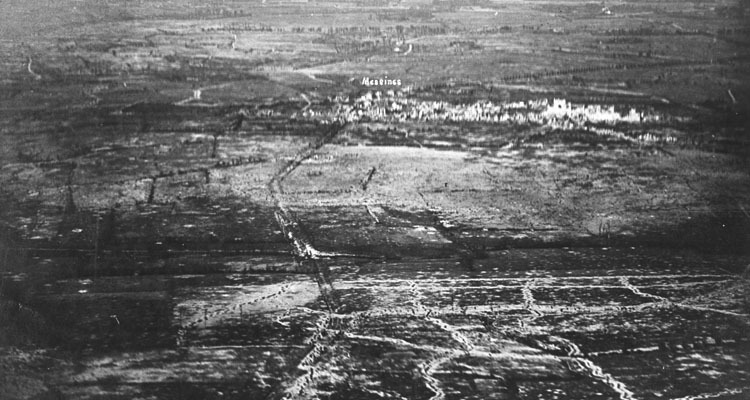 They scaled down the plan from a thrust to the coast to an attack towards Hazebrouck just south of Ypres. The aim was to cut off the British forces in the Ypres Salient and force a retreat. This smaller operation was named Georgette. The Germans massed 36 divisions. Sixth Army, commanding 28 of them, would attack towards Hazebrouck, with Fourth Army attacking to the north to block British reinforcements. Facing them were just 12 Allied divisions, one of which was the 2nd Portuguese Division, who were particularly understrength. Just like Amiens in the south, Hazebrouck was the vital transport hub for the BEF in the north. Again, if it fell the effect would be catastrophic. Again, the Germans don’t seem to have realised this. 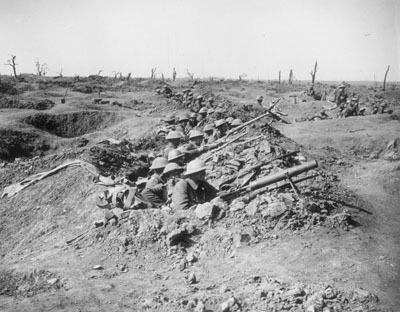 After a heavy four and a half hour artillery bombardment, the German infantry attacked at 8:45am on the 9th April. Sixth Army’s attack fell on the Portuguese, perhaps the unit worst placed to resist them. They collapsed, and the Germans advanced 3 miles in just hours. As a result British divisions to the north were also forced to retreat, however to the south the 55th Division would hold its position throughout the battle. 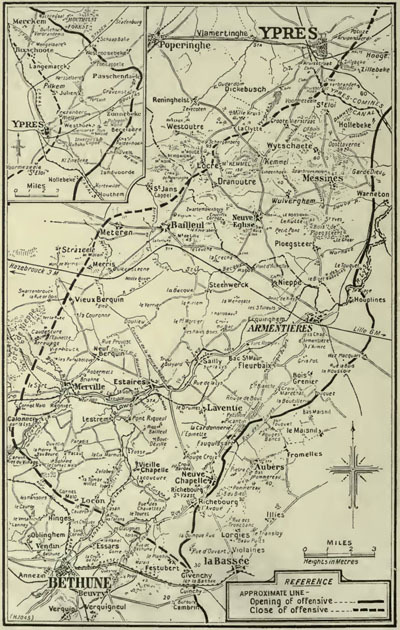 Fourth Army launched their supporting attack on the 10th, towards Armentieres. The town fell, as did Messines and the Messines Ridge to the north. Sixth Army pressed on towards Hazebrouck. Just like Michael, the spearheads of the German attacks were specially trained Stormtroops, but a shortage of these elite troops meant many German attacks had to be carried out by less well trained units. They used less effective tactics, often attacking in large masses, and as a result suffered much heavier casualties. The terms Germany had imposed on Russia with the Treaty of Brest-Litovsk had brought home to the British, both military and civilian, the consequences of defeat. Coming so soon after Michael had left the Germans perilously close to Amiens, the threat Georgette posed to the BEF’s other logistic hub was stark. Losing either would have a massive impact on the British ability to fight. 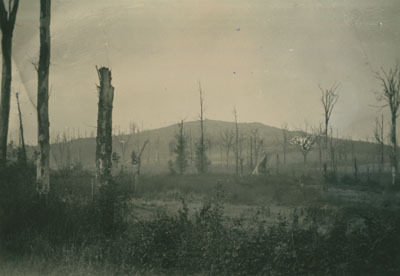 Mount Kemmel fell on the 25th April. “With our backs to the wall and believing in the justice of our cause each one of us must fight on to the end. The safety of our homes and the freedom of mankind alike depend upon the conduct of each one of us at this critical moment”. Not a man known for emotional or inspirational appeals, the powerful language of this order reflected the danger Haig felt the double blows of Michael and Georgette posed. If Hazebrouck fell the entire BEF was in danger and the fighting in front of the town was desperate. By this point though, the Germans were running out of steam and the worst of the danger was beginning to pass (although, of course, Haig had no way of knowing this). British and Australian reinforcements were sent to the sector, and General Foch, as Allied Generalissimo, used his authority to order French units to move north to support the British. On the 12th Ludendorff repeated the same mistake he had made during Michael and switched the focus of the attack. Despite Sixth Army being just five miles from Hazebrouck he ordered Fourth Army to attack towards Mount Kemmel between Armentieres and Ypres, and Sixth to support them. 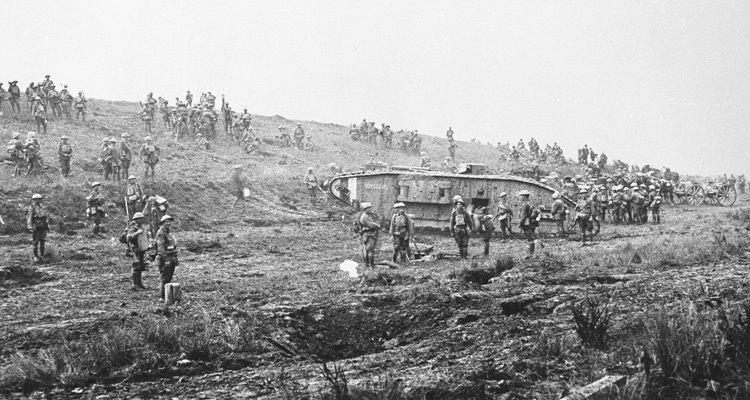 Under continuing pressure, British Second Army were forced to give up the Passchedaele Ridge and fall back on Ypres. However the reinforcements were now arriving, and German casualties were increasing. They captured Mount Kemmel on the 25th and on the 29th advanced slightly further North West to take the Scherpenberg Heights. This was the final act of Georgette, and Ludendorff ended it the same day. The territory captured during Georgette. Like Michael, Georgette was a significant German victory that ultimately achieved very little. Both had inflicted heavy losses and disruption on the Allies and forced them into significant retreats. However both had also resulted in the loss of tens of thousands of irreplaceable German soldiers, and had captured lots of territory that would be difficult to defend. Perhaps most importantly, neither Amiens nor Hazebrouck had fallen. Through determined fighting the British had held both these vital hubs. As they advanced German soldiers overran British supply dumps. 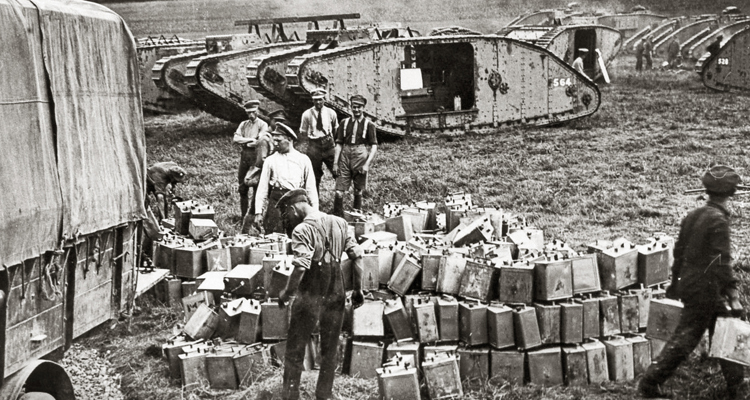 German soldiers and civilians had been enduring shortages for years as a result of the British blockade, so the sheer scale and quantity of the resources available to the British was staggering. The advance slowed as soldiers began looting. 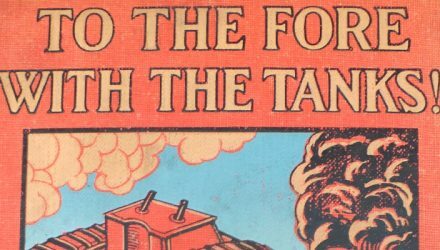 In the longer term, the morale effect of seeing just how much better supplied their enemies were played a significant role in weakening the German Army’s will to fight as 1918 continued. After Michael and Georgette the Germans attacked at Villers-Bretonneux, on the road to Amiens, on the 24th April, then against French forces between Soissons and Reims in Operation Blucher (27th May – 5th June). The fourth and fifth German offensives were Gneisenau from the 9th – 16th June and Marneschutz-Reims between the 15th and 18th July. Unlike the previous offensives, which had been ended by the Germans, this last attack was stopped by a French counterattack, the Second Battle of the Marne. This showed the French had recovered from the 1917 mutinies, and it forced the Germans onto the defensive, where they remained for the rest of the war. The German Spring Offensives left them with units weakened through casualties and falling morale, required to defend large areas of newly captured ground that had poor fortifications and access for logistics. The Allies, on the other hand, were steadily receiving more and more American reinforcements, and the shock of the attack had forced the British and French into much closer and more effective cooperation. 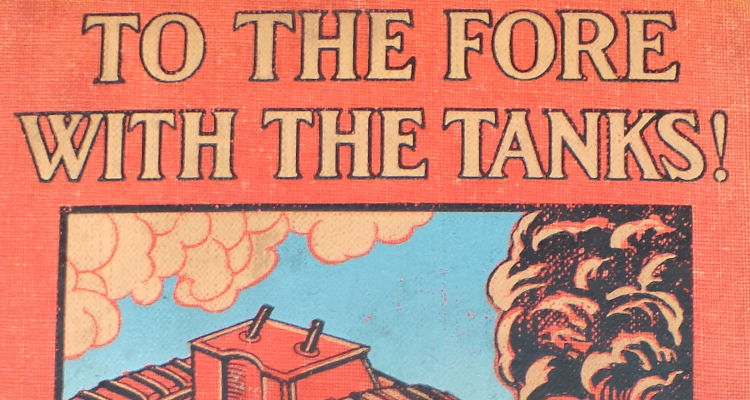 As the summer passed, the Allies began getting ready to launch their own attack.